A 124-page spiral bound book, with 75 pages of sheet music and 18 pages of notes and documentation of all the music in the book. Signals, Call & Camp Duties contains the drum signals and fife tunes used to communicate daily routine orders to the army, such as gathering wood, assembling the men for inspection, and alarm in case of an emergency. 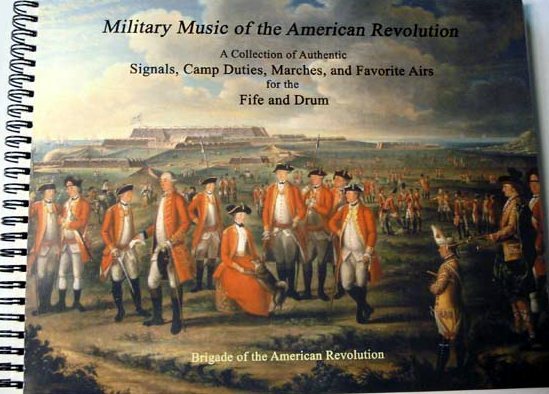 Favorite Troops, Retreats & Tattoos expands on the previous chapter by including music used for ceremonial purposes such as when the regiments flags were paraded or when the duty day had ended and the men were to return to their tents. American Marches & Quicksteps and British Marches & Quicksteps includes the distinctive marches used by various regiments. Marches & Favorite Airs includes tunes popular in Great Britain and America. Military musicians also performed music to raise morale and to entertain. This music came from a variety of sources, including ballad operas, tavern songs, and dance tunes. 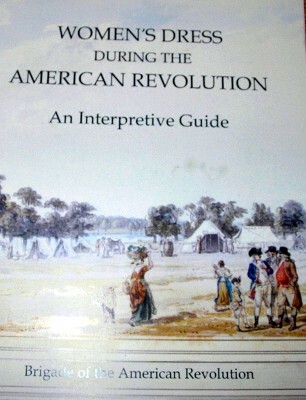 Women's Dress During the American Revolution: An Interpretive Guide is a substantial rewriting of the Brigade’s “Basic Clothing Guide for Women” and features expanded documentation of clothing items and style, updated measuring guides, detailed construction notes, interpretation considerations and many new illustrations as well as a comprehensive bibliography to women’s clothing and 18th century women’s subjects. 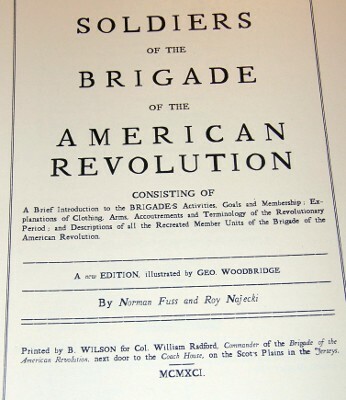 Soldiers of the Brigade of the American Revolution. A 38-page book that briefly describes the military clothing, arms, accoutrements and terminology of the Revolutionary War period. Uniform descriptions of many member B.A.R. units with their distinctive features are included. Featured are 39 illustrations by noted military artist George Woodbridge. 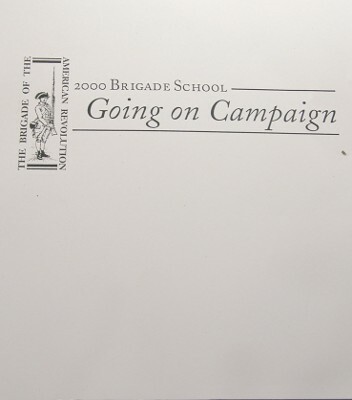 2000 Brigade School Papers "Going on Campaign"
Our solid hand and body lotion bars are a blend of beeswax, cocoa butter, almond oil & other natural vegetable oils. They are hand crafted in southern Virginia. While solid at room temperature, the lotion softens at skin temperature and can then be messaged into the skin. The oils will soak in and help to moisturize and soften the skin. Because this is an oil based rather than a water based product, the lotion will remain on the skin for much longer and is especially beneficial for cold weather conditions or as a night cream. 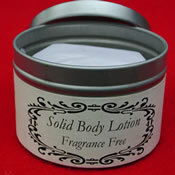 The solid hand lotions come in a round slip-covered tin that can be safely carried in your purse, pocket or pack. The tins are also useful once the lotion is used up for carrying small items. They are packaged in 3 oz bars. Lavender ~ The classic essential oil, prized for centuries for its smoothing scent and relaxing aromatherapeutic qualities. 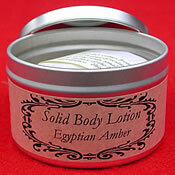 Egyptian Amber ~ A blend of essential oils and botanical resins, including powdered amber. This recipe originates in Syria and has a deep musky scent with a sweet undertone. 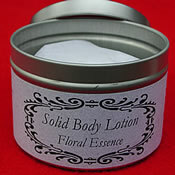 Essential Floral Blend ~ Predominately Lavender, blended with sweet Ylang ylang and sensual Patchouli. 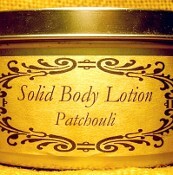 A blend of beeswax and natural ingredients including Patchouli, Olive, Almond oils and more. It is recommended that pregnant women avoid products containing essential oils. This Fragrance Free bar contains no oils. 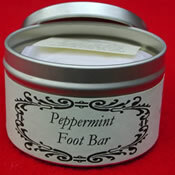 Peppermint Foot Bar ~ NEW! A blend of peppermint, birch, eucalyptus and other essential oils. 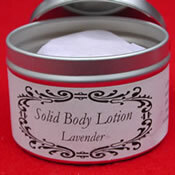 Used as a foot rub it will help soothe and refresh tired legs and feet. From companies such as Hudson's Bay, Whitney, Eaton's, Ayers, Faribault, Orr and others. We travel all over the northeast buying blankets at estate auctions and through other sources. Some of the blankets are brand new, some slightly used and some are up to 100 years old, but all are in good shape. They range in price from $25.00 up to $140.00. Sizes vary so please contact us if you are interested.